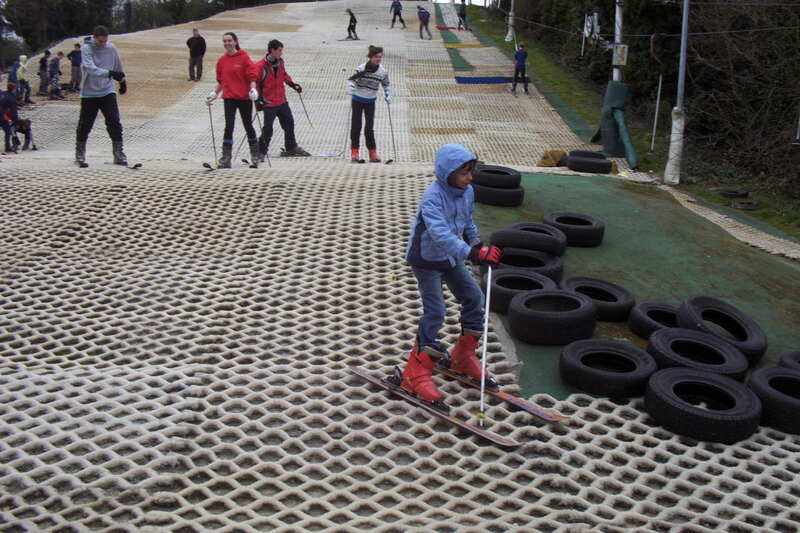 Ten Scouts from Sandwich Scout troop joined other members of the Scout District for an afternoon of Skiing and Tobogganing on the dry ski slopes of Folkestone Ski Centre on Saturday, 31st March, 2012. The first hour was spent tobogganing, and then they moved to the Ski slope for the second hour. At the beginning of this session, the Scouts were split into two groups, those who had been skiing before and those who had not. The Scouts who had been skiing before were allowed to use the ski lift to the top of the slope and then ski down. The second group (not been skiing before) were taken to a part of the slope that was not quite so steep and given instruction on how to use the skis. Once they had gained the basics, they were then allowed to use the ski lift.